Despite a disappointing 11-19 record on the surface, the Los Angeles Lakers have seen tremendous growth from its young core of players this season, headlined by second-year forward Brandon Ingram and rookies Lonzo Ball and Kyle Kuzma. The trio has excelled at various points this season, all the while receiving praise from around the league, including from some of the biggest names in Kevin Durant and LeBron James. Other contributors to the Lakers’ development are Jordan Clarkson, Larry Nance Jr. and Julius Randle — all of whom provide sparks in their own respective ways. There have been some growing pains along the way, as expected, but that especially holds true playing in a historically tough Western Conference. Los Angeles is in the midst of a brutal December schedule that features matchups against a plethora of playoff-hopeful contenders. In their latest contest, the Lakers fell to the Golden State Warriors for the third time in less than a month. 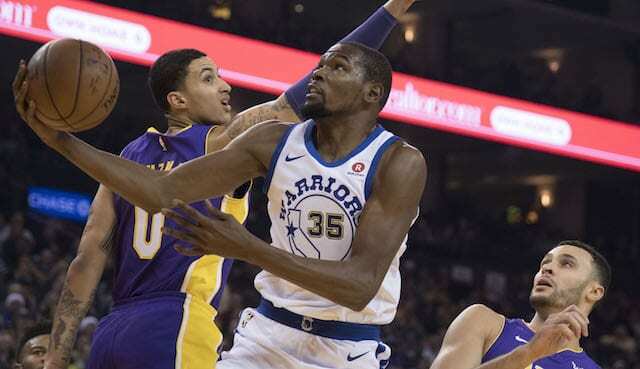 In three matchups this season, the Warriors have outscored the Lakers by a collective total of 15 points — an average of just five points per game. Los Angeles forced overtime in the first two contests. Along with praising the Lakers as a collective group, Durant specifically pointed out Kuzma’s performance — a 27-point showing — and deemed him as having lottery-pick level talent. 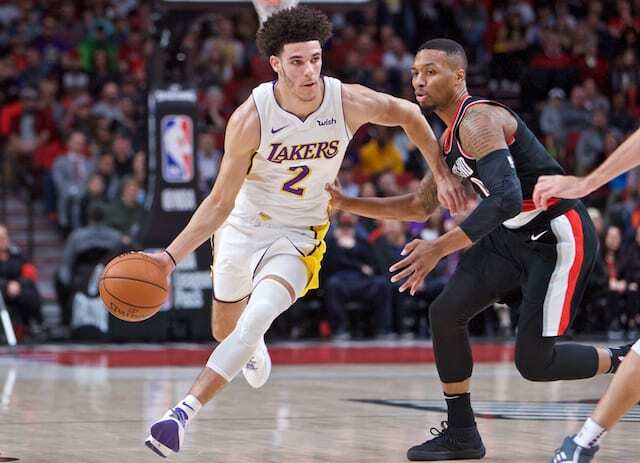 Kuzma became just the third rookie in franchise history with three consecutive 25-point performances, and the first since Jerry West did so in 1961.